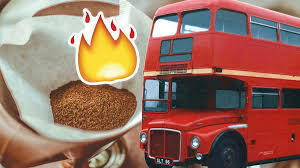 Those big red busses you see in London are soon going to be powered by coffee! That’s because Transport for London, the people in charge of all of the busses in the city, have allowed a new type of biofuel to run their busses. 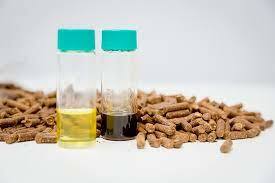 Biofuel is made using waste products like cooking oil and is already used in many of the capital’s 9,500 buses. Now, one company has come up with a clever idea to use waste coffee grounds to power our transport. People in the capital create 200,000 tonnes of waste from coffee every year. That’s about the same weight as an entire house, filled with you and your stuff! Bio-bean, a clever tech company that takes ground-up coffee and recycles it, has said they’ve now got enough coffee oil to run one bus in the capital for a year. They blend the oil with a little bit of diesel, a fossil fuel, to help it run. That means an entire bus can be powered using only 20% of the fossil fuels it would have done and also makes good use of otherwise useless waste!